I am a self-confessed doodler. There I said it. Ever since I can remember I have doodled on anything and everything at my disposal – probably on some things I shouldn’t have (sorry mum). The thing is, I think I was paying attention – again something I probably professed to my teachers at the time which most likely didn’t help my situation. But for me, as a bit of a fidget and definitely someone with more of a creative brain than an academic one, this seemingly mindless doodling that consisted of nothing of any note at all, really helped me to focus on what I was being taught. In a roundabout way – I guess it kept the ‘I don’t wanna sit here and learn about these stupid quadratic equations’ part of my brain (a part I very much still have) satisfied, so my brain was open to taking the details of such equations in. After years of secret doodling, being shouted at for doodling, cleaning my doodles off things that shouldn’t have been doodled on in the first place (again, sorry mum) I find out that a man called Ryan Germick is “Chief Doodler” at Google. Let me repeat that – Chief Doodler. Ryan and his team of ten doodlers, four engineers and two producers plan 18 months ahead to create the fun, clever and topical Google search engine doodles we see that mark milestone occasions and seasonal holidays. Producing around 400 doodles each year, 50 – 100 of those being animated and an increasing portion being fully interactive, the Google doodle has become a recognisable and anticipated bit of internet fun – a far cry from my school book doodling… But the principal is the same. Doodling is now a thing. Doodling is now encouraged in businesses, from creative agencies to multi-million dollar corporate companies. In fact, there are even companies that exist to help other companies learn how to doodle effectively! Has the world gone mad? Fear not – our subconscious doodles aren’t becoming more acceptable because our bosses and business owners have decided to chillax over the whole profit and business productivity thing – but because real life psychologists have research that confirms that the ‘art of doodling’ can actually have positive effects on our focus, productivity, concentration, problem solving and creativity. At last I can profess my doodling addiction with my head held high! Psychologists confirm that the ‘art of doodling’ can actually have positive effects on our focus, productivity, concentration, problem solving and creativity. 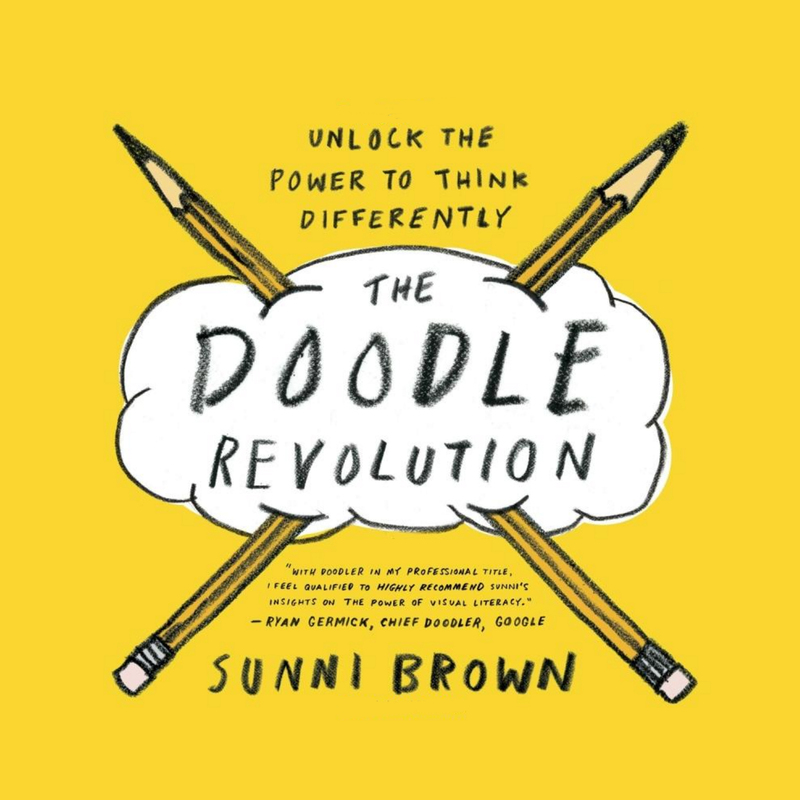 One woman at the forefront of the doodle fight is Sunni Brown, author of ‘The Doodle Revolution’ and full time advocate of the doodle. Her company ‘Sunni Brown Ink’ uses “applied visual thinking”– a.k.a doodling, to help all kinds of professionals change their state of mind and become more focussed, and as such, become better at solving both creative and business problems in the workplace. This notion is something that, yes, when you read the research or listen to Sunni’s Ted Talk (do it – its only five minutes out of your life and I’ve popped it below for your convenience!) on the importance of the doodle, it makes perfect sense – focussing the brain in this visual way helps us channel our thinking. But from a more personal level this idea really resonates with me. When beginning a project – be it a naming exercise, or a branding or design brief, that first hour or so when the whole world is your oyster in terms of possibilities can sometimes be quite daunting, to the point where it can be hard to knuckle down and find that strong starting point or initial idea. I have often found that not stressing too much about the pressure of having an ‘instant light bulb idea’ – which I’m sure are fewer and further between than we think – and just spending a bit of time doodling or sketching around the info you already know about the project can really help you kick-start an idea that often has a stronger concept than going straight into some on-screen design (a common temptation when time is against you). This is because your mind has been given the time to mull over your starting points and make that visual connection between all the puzzle pieces a branding project throws up. Be it an act of solo doodling or a creative team mass doodle, the benefits are there to be seen. All in all, I guess I doodled before and I will doodle forever more, but it’s reassuring to know that this habit can be helping me channel my creativity and keep my brain focused. 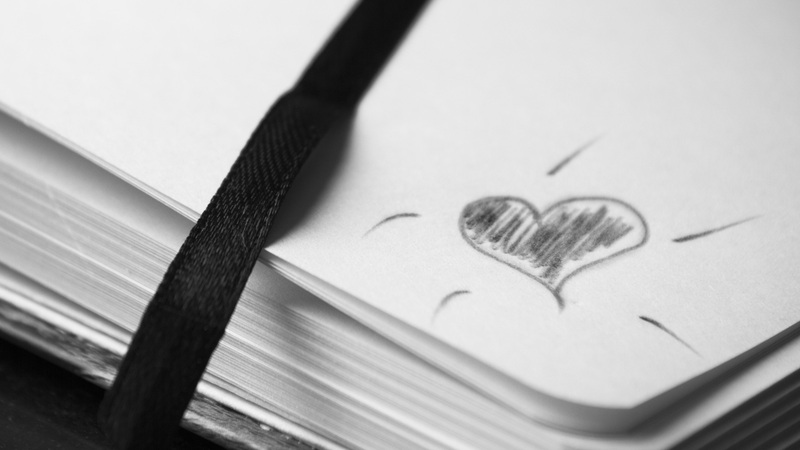 The moral of the story – get doodling!